After Round 8 of the World Youth Chess Championship, Efroimski of Israel in Under 12 Girls is the only player with the perfect score. 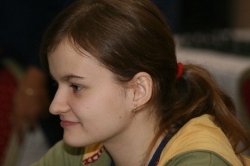 Unde 18, GM Popov won again to preserve his lead in the oldest age group of the event while local hero WIM Y?ld?z won her second consecutive game against WIM Gomes from India to leap to the shared second place. And you can find out more about the results of round 8 at the link below. There is a close contest in Under 8 group where everybody beats each other. 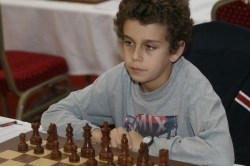 Konstantin Savenkov won against Nikita Ayvazyan to take the sole lead with 7.5. Chingiz Qasimov won against Harshal Shahi and now has 7 points. In under 8 Girls, Nguyen of Vietnam won against Meghna and leads with 7. 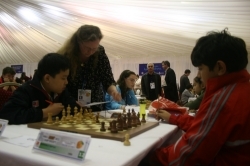 Furtado won against Vatansever from Turkey to have 6.5 points joined by Mammadzada and Zhou. 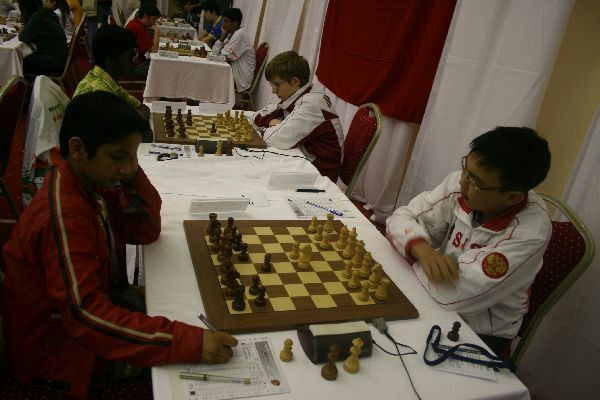 In Under 10 group, Antipov and Wang drew which was the first half point given away by the latter. He is closely followed by Polish player Duda with 7 points since he won against Luo from US. In Girls’ section, Styazhkina who led the tournament all the way up to now lost against Lei of China which caused Chiang to be the new leader since she won against Guo and has 7 points. 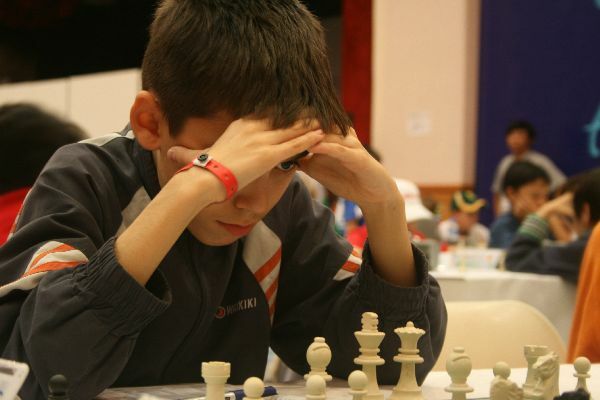 In Under 12, FM Bajarani won against Naroditsky and leads with conceding only one draw away. 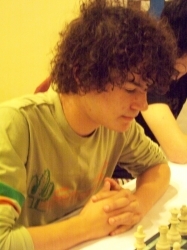 Bukavshin is at the second place after winning against Beradze while FM Nyzhnyk won against Andersen to share third place with Idani, FM Nakauchi and Nan. In Under 12 Girls, Efroimski won yet her eighth consecutive game this time against Saduakaskova from Kazakhstan and she still has a perfect score. 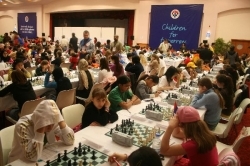 Eid and Ibrahimova drew their games, which caused Eid to share the second place with Kumari and Guo. 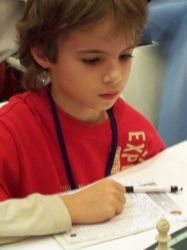 Daniel Naroditsky (USA, Under 12) was not able to stop FM Bajarani of Azerbaijan and FM Bajarani's compatriot Sabina Ibrahimova hoping for the dull minutes before the game passes as fast as possible. IM Sanan Sjugirov lost his first game... against Indian FM Vidit after a very sharp and interesting fight. IM Sjugirov lost his first game against FM Vidit who is now leading the event with 7 points. Belous won against Sethuraman and shares the second place with Grandelius and FM Robson who defeated Lagarde and Plat respectively. Under 14 Girls’ group is led by WFM Paikidze after her victory against Vietnamese WFM Nguyen. WFM Cori won against WFM Camacho while Adamowicz won against Baciu to share second place with others having 6.5. Under 16 tournament is led by FM Chirila who has 7 points won after winning against FM Leniart, followed by FM Bregadze and FM Recuero Guerra having 6.5 points. 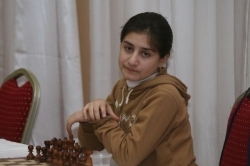 In Girls’ group Tsatsalashvili won against Beridze joined by WFM Girya at 7 points. Iordaniou created an upset win against Guramishvili and has 6.5 points, as did WFM Nakhbayeva. Top 2 boards of Under 18 Girls, WIM Betül Cemre Y?ld?z won against WIM Mary Ann Gomes of India, the early leader of the event. GM Ivan Popov produced a win against FM Nakhapetiane and now has 7 points. IM Grigoryan drew against Samolins while IM Edouard also has 6.5 points. IM Leon Hoyos, IM Sari, Hayrapetyan and IM Prujissers won their games and have 6 points after round 8. In Under 18 girls, WIM Betül Cemre Y?ld?z produced her second consecutive win against WIM Mary Ann Gomes to reach 6.5 points following WIM Katerina Nemcova who has 7 points together with WFM Steil-Anton. WIM Gomes, and WFM Gunina have 6 points. Left: Alicia Guiterrez Mancilla (Under 18 Girls, Mexico) Right: Chardina Camacho (Under 14 Girls, Phillipinnes).